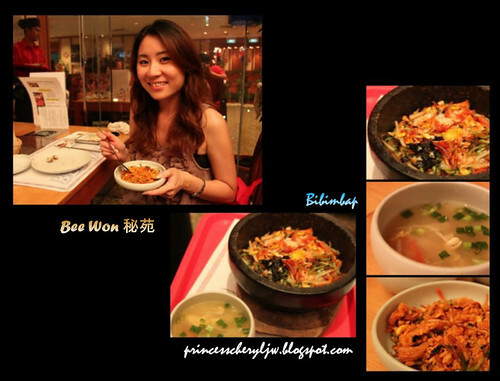 *Ceased operation at Royal Hotel but you can enjoy more varieties at even lower price at their 2 outlets at Gurney paragon 5f Just food & Times Square 1f Food Gallery - BEEWON KOREAN FOOD. 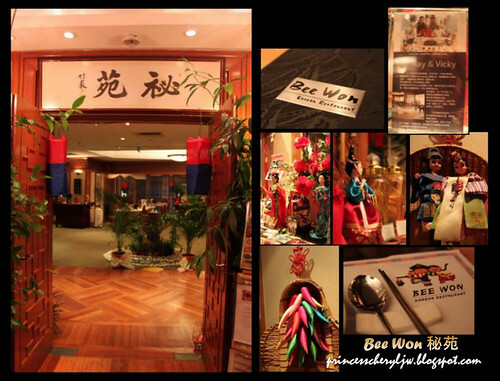 It was mummy's birthday~ We celebrated at Bee Won Korean Restaurant located at Royal Hotel Penang. 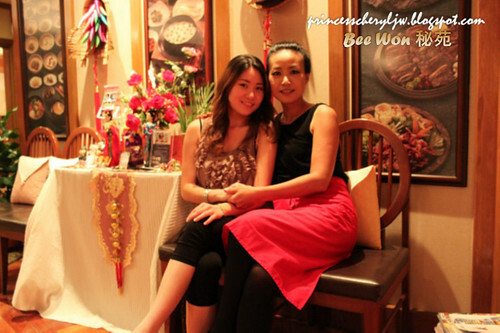 Here they offer authentic Korean food with varieties dishes. This place recalls my splendid memories in Korea, just look at all the decorations, you'll feel like you're already in South Korea! 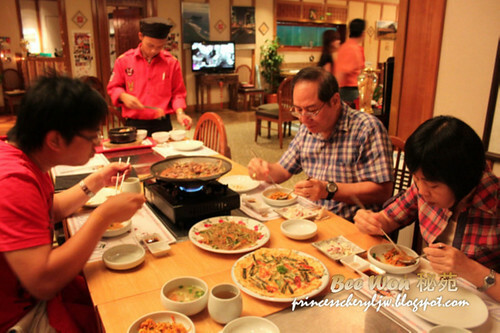 The meal started off with servings of ban chan (side dishes). Most common ones are Kimchi and Shi Guem Chi (seasoned spinach). I personally like the Yang Nyum GGo Mak (seasoned cockles) very much. One thing that I like about having Korean cuisine is ban chan, always replenish-able. Chapjae/Japchae - Glass noodles accompanied with a variety of vegetables and beef in a slightly-sweet garlic sauce. 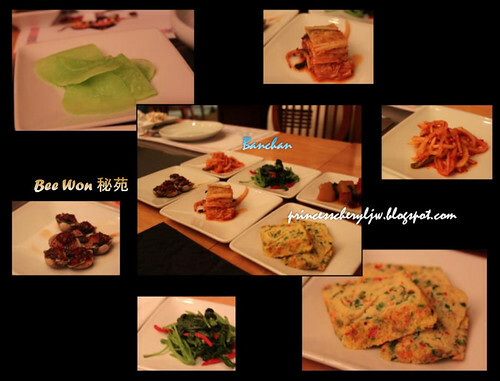 A stand-alone dish in its own right, also be eaten as banchan. Samgyetang/samkyetang - A whole young chicken stuffed with glutinous rice and boiled in a broth of Korean ginseng, dried seeded jujube fruits, garlic, and ginger. Pajeon - A pancake-like dish made from a batter of eggs, flour, rice flour, green onions and other additional ingredients depending on the variety. Beef, pork, kimchi, shellfish and other seafood are mostly used. Bulgogi - Bul means "fire", gogi means "meat" in Korean, which refers to the cooking technique, over an open flame. Another of my favorite - Bibimbap. It means "mixed meal." Bibimbap is served as a bowl of warm white rice topped with namul (sautéed and seasoned vegetables) and gochujang (chili pepper paste). A raw or fried egg and sliced meat (usually beef) are common additions. The ingredients are stirred together thoroughly just before eating. It can be served either cold or hot. For visual appeal, the vegetables are often placed so that adjacent colors complement each other. Family meal. =) And we had a personal waiter serving us. Distributing Samgyetang into 4 servings. Complimentary cordial drinks from Vicky. Here's a perfect shot with Vicky onni. I get special discount dining here. So who wants to come again with me? 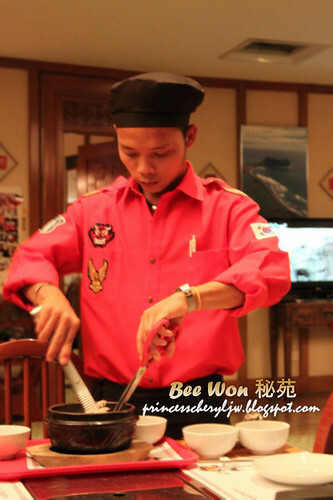 Bee Won has 5 VIP rooms with one room equipped with Karaoke systems and all that are for free of charge. 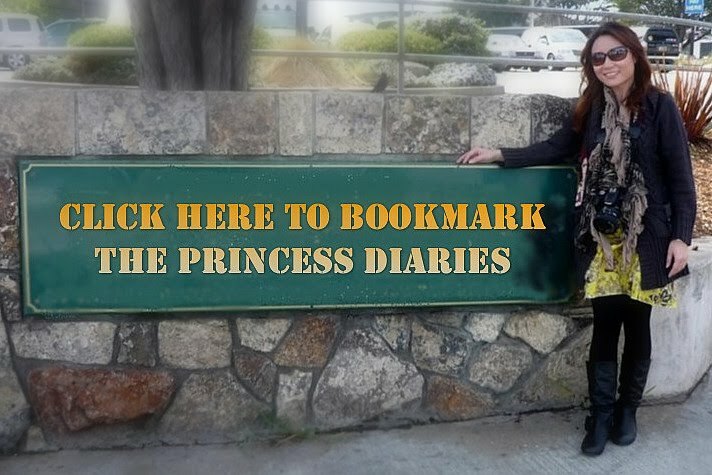 You can do your bookings earlier in case you have special functions which requires privacy. Oh ya, remember to bring your parking ticket along, Bee Won's diners get free parking for the first hour. ** Promotion!! Now you get to enjoy lunch special at only RM18.90 per person (Daily 11.30am - 2.30pm, except Sunday). 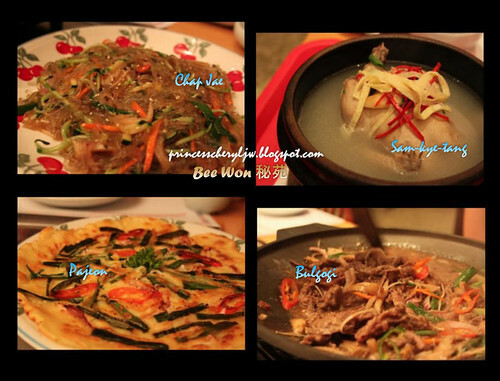 What is available in the menu - Kim Chi Stew, Soybean Paste Stew, Spicy Soft Tofu, Bibimbap, Grilled Fish.